After staying at home to raise her children for 14 years, Carolyn Priest turned passion for gardening into a business. Carolyn started The Garden Rejuvenator in 2012. 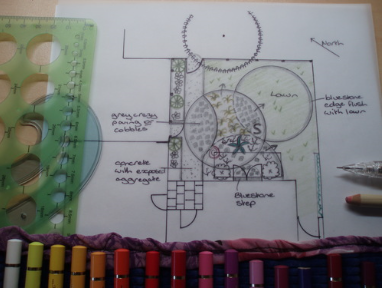 Her work is innovative, resourceful, energetic and "on trend" as she strives to create each client’s ideal garden. 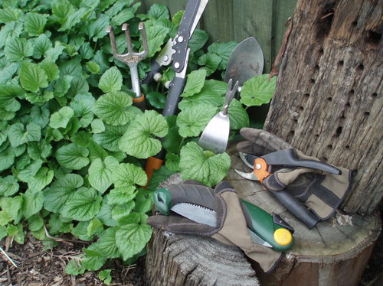 The business works on new or existing gardens and themes include sensory, meditation and butterflies, birds or bees. It also offers quality garden maintenance and cleaning. Carolyn offers highly skilled and personalised services including an iPad to present ideas, detailed task invoices and an email discussing future options. She also shares her knowledge so clients understand what she is doing. 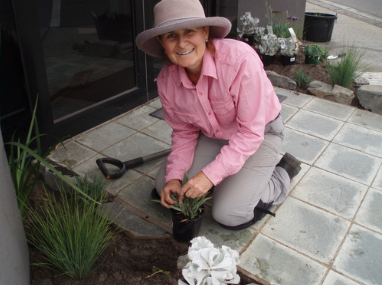 Working with homeowners and small businesses around Melbourne, Carolyn takes no short cuts and is happy to weed, mulch, fertilise and prune. Her work is seasonal, sustainable, beautiful and biodiverse. The Garden Rejuvenator is a unique business and Carolyn is a confident gardener. But she felt she needed a mentor as she was not so confident about running a business. Carolyn had used a Small Business Victoria mentor in the past and attended some SBV sessions. After filling out an online Small Business Institute questionnaire, she won a competition for free admission to monthly seminars, where she met mentor Gilly Swinnerton. Part of the prize was five mentoring sessions. She had three with Gilly, who shares the insight she gained from a range of experiences in health care areas including hospitals, wholesaling, pharmaceuticals and Monash University in Parkville. She also spent 15 years as director of an architectural joinery business with her husband, managing the estimating, finance and marketing. Gilly and Carolyn focused on what niche Carolyn sought in her business, how to pitch at different price points and how tweaking the content of her repertoire influenced the income. They also looked at how to gain client referrals from her existing clients, effectively branding Carolyn’s image and the importance of documenting her work with SMART goals and 90-day plans to enhance enjoyment and clarify her journey. This helped in gaining business support and credentials. Gilly says their conversations helped Carolyn reconnect with her “ideal” customers - by seeking referrals from past happy customers in preference to cold calling or advertising. 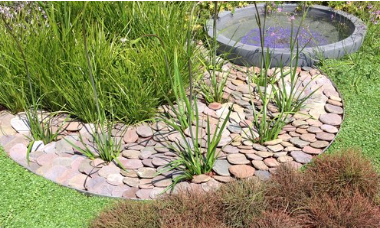 Carolyn has since won a Horticultural show gold medal, which led to stories in three Leader newspapers, and gained professional confidence from the appraisal of her peers. New customers have increased by 50 per cent and some of those jobs are bigger. Carolyn is also now able to charge for more hours, so gross earnings are up by 25 per cent. “My renewed confidence this year has resulted in existing clients giving me referrals again,” she says. Carolyn says her business is 100 per cent stronger and her capabilities have improved by 150 per cent. She is also coping better. “I don’t think I could have coped with the current work load earlier without having my new system and confidence,” she says. Carolyn now has a routine in her week when she sees new clients, gardens and designs. She has separate targets for the amount of time and money the gardening and design aspects of her business will generate. Finding SBMS was especially timely. Due to personal circumstances unrelated to the business, Carolyn had lost some confidence. This confidence was highlighted when Carolyn was awarded gold for her display garden, One Gardner’s Journey, at the 2015 Horticultural & Gardening Festival. She could also be describing her business.